Health Insurance Marketplace Call Center | 8x8, Inc.
To boost productivity at your health insurance marketplace call center, it's important to have the right technology. Your clients have individual needs and you must be prepared to share information with them confidently and professionally. The right software can help you accomplish that. What are health insurance marketplace best practices for call centers? As you shop for the best software vendor, consider available software integrations, processes, and workflows—be prepared to ask questions and find out how experienced each vendor is with your industry. Omni-channel support: Consider how well each communication channel is supported and how you can offer better service through that channel. What do your customers need from SMS text message, phone, and chat communications with you, for example? Call queuing: When incoming leads and calls come in to your contact center, how are these communications routed to the correct agents and departments? Have a call queue can help. Customer relationship management (CRM): What prospect and caller information is available in real time to agents in your contact center? A CRM solution can help your agents appear prepared, organized, and more personal. Scripts and training: How are your agents trained? What makes them qualified? What scripts do you provide to your agents to keep them on point in every conversation with prospects? What software tools do marketplace call centers need? The right CRM, VoIP service (Voice over Internet Protocol), knowledge center, and private branch exchange (PBX) can help your health insurance marketplace close more leads and stay competitive. Basically, you need a means of monitoring your call center, tracking performance, and managing call traffic. Generating reports regularly allows you to track your progress and see how individual agents and departments are performing. With the right software, you can directly impact how well your call center performs, so it's worth it to find a vendor who has experience serving your industry and helping other health insurance marketplaces build more effective call center processes. Your vendor should be able to help you develop best practices for using call center software and growing overall performance. Allowing health insurance marketplaces to access enterprise-grade phone and contact center services at a more economical cost, VoIP service has revolutionized the industry. Advanced phone service tools and features are now easier to deploy and scale than ever before. With a knowledge center and the right software to manage it, your marketplace can offer an online library where customers can get their most common questions answered. This can free up contact center resources so your healthcare marketplace call center team can be as efficient as possible. 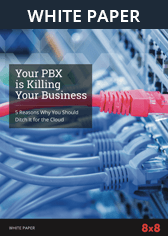 With a cloud-hosted PBX, your marketplace call center can have PBX functionality without the need to deploy an onsite PBX device. Your company can quickly and effectively manage call traffic within your contact center. Of course, it helps to be able to manage what's happening inside your contact center as well. Stay ahead by using software to manage your workflows and keep everything connected. See in real time how productive your agents are, monitor your call traffic, and stay organized. How do I choose the right technology? With help from the right SaaS vendor for your healthcare marketplace call center, you can choose the technology you'll need to serve your clients and stay productive. Software can help you monitor your call center's key performance indicators (KPIs) and generate reports to track progress. By giving your agents access to the information they need, you can empower your team to reach higher levels of productivity and accomplish more as a company. Industry best practices that put call center technology and VoIP to use may transform your call center's results and enable healthcare marketplaces to reach and exceed their goals. It's a smart investment to bring today's technology into your call center's workflow. Insurance companies have enough on their plates. Choose a world-class SaaS technology solution and focus on what's important: your clients. Call 1-866-879-8647 orfill out an online form to request a no-obligation quote from an 8x8 product specialist.